Beccy's Place: Day 5 - "E"
One of my favourite techniques is altering images slightly to fit in with whatever occasion I'm creating for. I like to call this "extending my stamps" because I'm getting more use out of a stamp than what was initially intended. In this case, I've drawn a Christmas tree, wreath and some festive lights on the Little Cottage digital stamp to give it a holiday flavour. YOUR TURN: Create a card using the letter "E" as your prompt. elves, eggnog, evergreens, easel cards, exploding cards, embossing, ecru, ebony, embellishments, encaustic, envelopes. Gorgeous card Beccy!You've turned the cottage into a real christmas cottage! Love the bright colours you've used! I am anxious to get started with your challenges - I need the incentive. But first things first - my brother and his wife are visiting and we want to spend our time catching up. It is the first time they have visited our place in AZ, so this is special. Cards will come later. Becky, if I understand correctly, we can add cards whenever - that is a feature I appreciate. You do understand correctly Dorothy, you can add your cards at any time during the month. And since it's an A-Z challenge, you can even work ahead! Cool card, Beccy! Love the colours you chose too. I checked out the Little Cottage digi and it looks so cute with the Christmas decor added. I remember you doing this last year with some of your cat digis - you added ornaments, lights, etc. You are so creative when it comes to extending your stamps! Great idea, or should I say Excellent (for “E” day 5)! Love how you drew in the image! What a fun way to use stamps that wouldn't normally be a Christmas stamp. I love the matting for the card and how you decorated the cottage for the holidays. Great front door wreath and the tree in the window. Great starry sky and your sentiment is perfect! Love how this looks as a christmas image. Great card Beccy. The added lights are great, I can't wait till the end of the month, when people will start to hang the Christmas lights to the outside of their houses. "E"xcellent card and beautiful way to extend your stamps Beccy! brilliant idea and such a beautiful card! 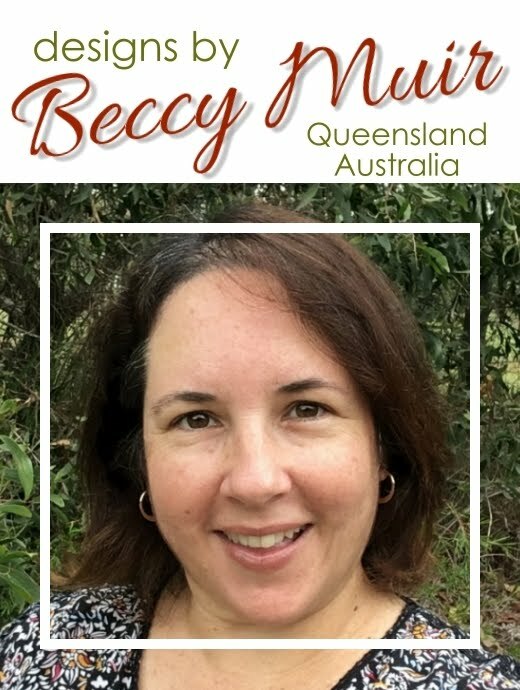 I'm impressed by your extended card Beccy...you gave us great inspiration with this technique!